Best way to cut the open cell foam is with a sharp knife or electric turkey knife, just repeat in 1 direction over and over again in one direction to get a clean cut.Please note that if you order these size sheets that may be bigger then actual size as listed below. companies it is most important to look at the density and ILD of the foam. Common Uses: Rebonded Foam isheavy and/or everyday use, such as bar seats, snowmobile seats, tractor seat carpet padding, work out equipment and upholstery wall padding. Moderate Residential and Moderate Commercial. Please email us your zip code and the thickness of rebounded foam you want. 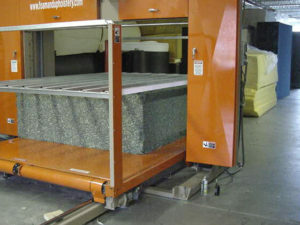 matting and crushing, therefore increasing the life of your carpet. This Rebonded Foam ottoman is a wonderful alternative to the classic bean bag.It provides comfortable seating and can also be used as a footstool. This ottoman can be put any part of the house such as living room, bedroom or dressing area. Also serve as a great occasional seat when you have more guests. You could even use them ascoffee tables. This ottoman is made out of high density rebound firm foam soit is lightweight, easy to storage and holds up to 250 pound person. and square shape sizes are available. Please contact us for details. Please email us your zip code. support while retaining its shape and density. offering a high degree of support while retaining its shape and density. bay window cushions, benches, chairs, and mattresses. 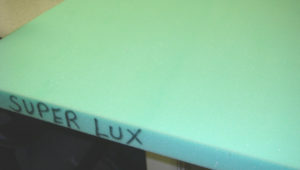 popular foam for seat cushion replacements and is highly recommended. as camping, guest beds, fold out beds, upholstering headboards, pet beds, packaging, arts & crafts, etc. as camping, guest beds, fold out beds, light upholstering, pet beds, packaging, arts & crafts, etc.